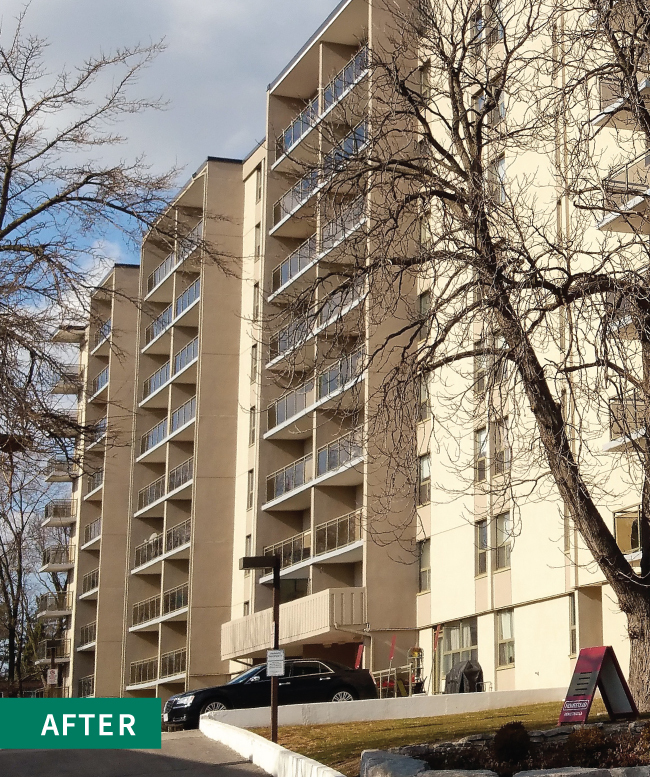 This apartment’s significant masonry damage (cracked and spalled brick) caused water infiltration and accelerated the deterioration of the building envelope. 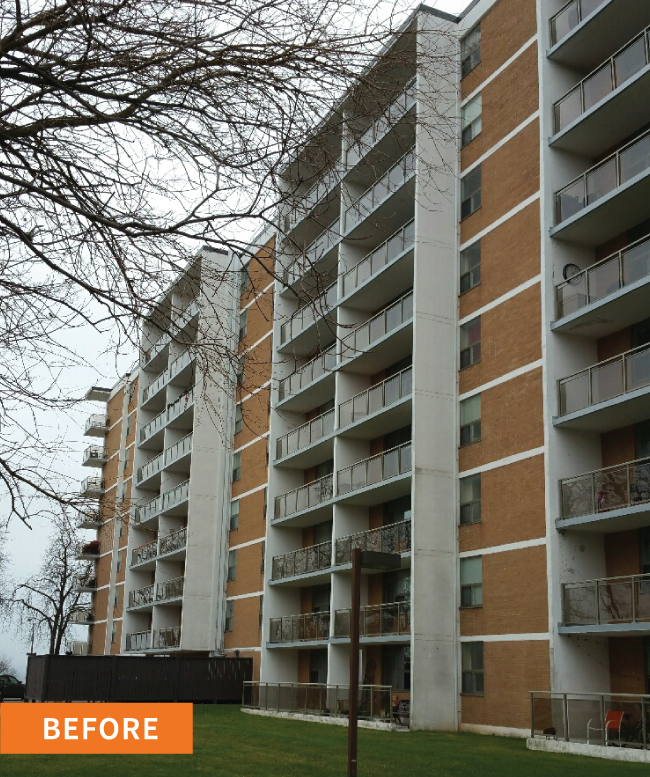 The dated windows, concrete balconies and railings also required replacement and restoration. Our Complete Building Envelope Repair System transforms inefficient and aged buildings into modern, energy efficient structures that will increase the value and appeal of your property. Click here to learn more. We're building restoration experts. 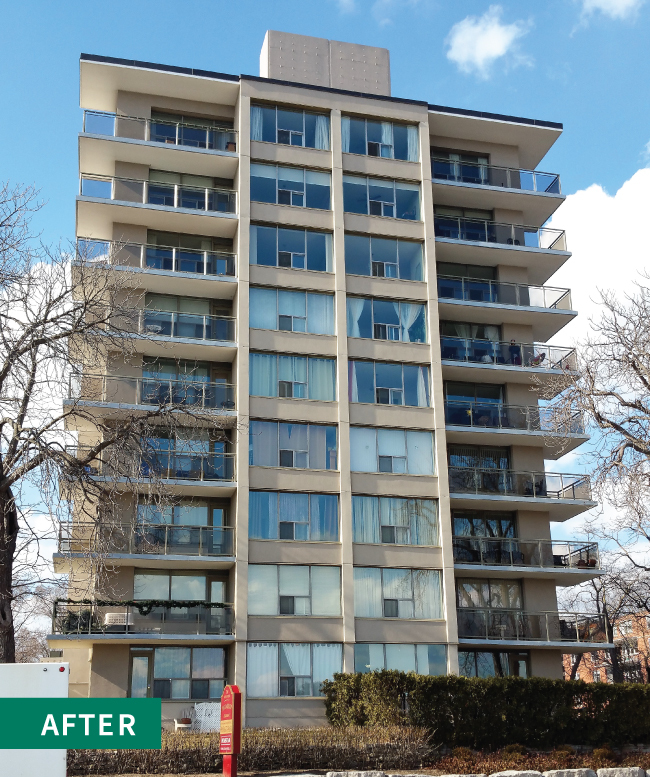 For 25 years we've provided a highly technical and personal level of support to our clients across Southern Ontario.